Home > Plog > Models & Methods > HRCM > Human Relevance Content Model! 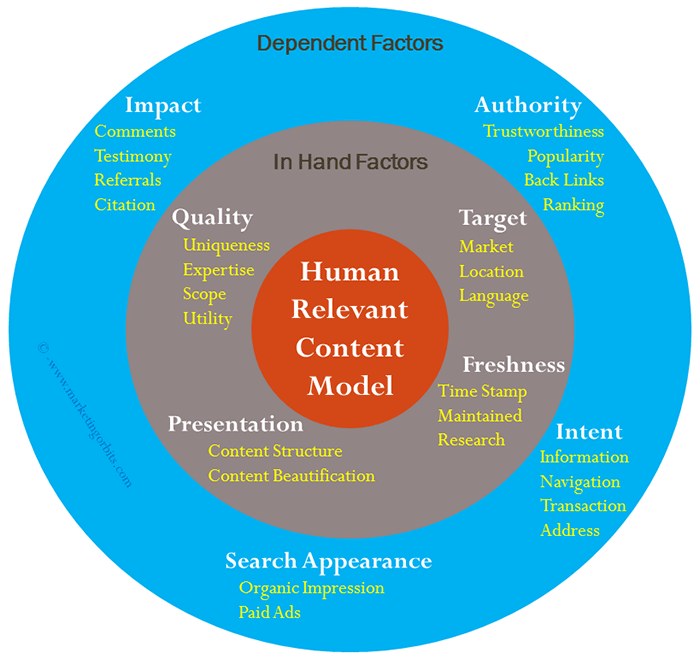 Human Relevance Content Model for Digital Marketing and SEO! Read on each aspect of this model in detail on “Psychological mapping between Article Content and Human Relevance” section by clicking here.